Velvet-Strike is a mod of the first-person shooter video game Counter-Strike. The mod, developed by Anne-Marie Schleiner, Joan Leandre, and Brody Condon, adds “protest sprays” to the game’s existing graffiti function. Velvet-Strike’s sprays ranged from being playfully out of step with the game’s self-serious violence and machismo to spreading explicitly anti-war messages. 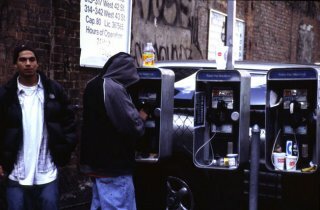 Velvet-Strike was developed just after 9/11, coming into existence alongside the United States’ declaration of the “War on Terror.” It was an early intervention into the space where gaming culture and politics converge—a space that has become more contested as gaming has become mainstream. 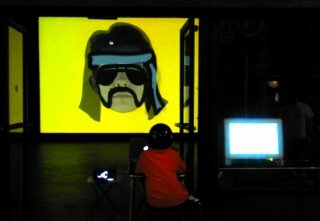 Velvet-Strike was at the forefront of artistic and activist gestures that questioned the militaristic ideologies present in popular video games. Velvet-Strike makes an important argument for the entwinement of “the real” and “the virtual” when it comes to politics and demonstrates the possibilities of activism in the virtual space of video games. Velvet-Strike (2002). 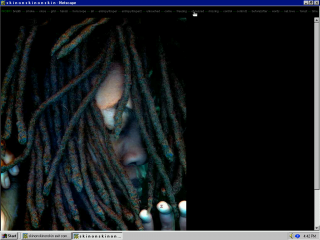 Video courtesy of the artists. Counter-Strike is a video game that was first developed in 1999 as a mod for the popular sci-fi first person shooter game Half-Life. Counter-Strike replaced Half-Life’s kill-the-aliens objective with kill-the-terrorists. Players join either a team of government operatives or a group of Middle Eastern terrorist militants, and are tasked with defeating the opposition. 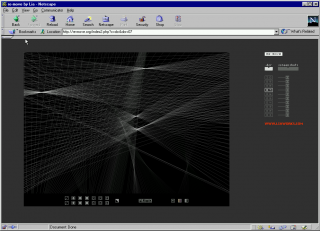 The mod was turned into a game, which became widely popular in the early 2000s. Screenshot from Counter-Strike featuring a spray from the Velvet-Strike mod. When Anne-Marie Schleiner and Joan Leandre met in Spain—around the same time that the United States was beginning to bomb and invade Afganistan—Schleiner was already interested in the politics of first person shooter games. The two put their heads together and came up with the idea to make an anti-military game mod. Rather than program a full-blown game modification, Schleiner, Leandre, and Condon used the game’s existing graffiti function to create Velvet-Strike. 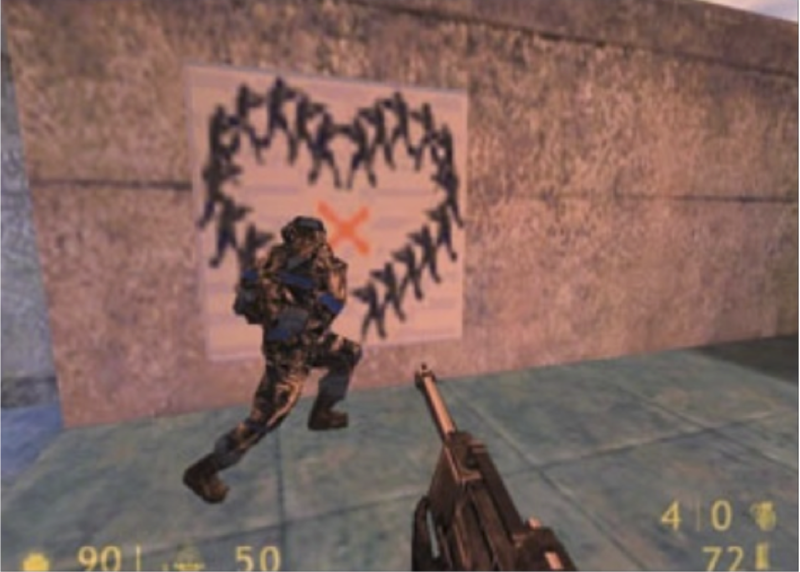 Counter-Strike allowed users to upload custom-designed graffiti designs to spray throught the game’s maps. 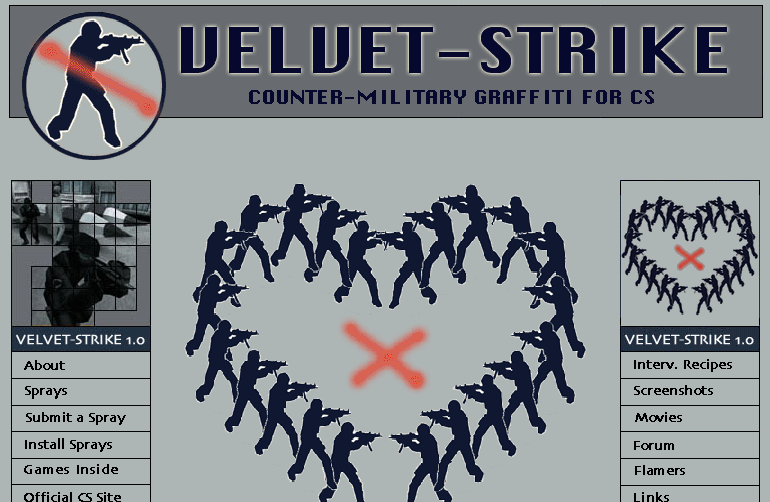 Velvet-Strike simply uploaded anti-war, anti-military sprays and made them available to players. They also encouraged players to create their own sprays to be made available on the Velvet-Strike website. The Velvet-Strikers performed their modifications live during game-play. They placed their sprays throughout the game’s maps and got killed constantly for doing so. Velvet-Strike’s tags were not just explicit anti-military protests. The visuals ranged from an image of two soldiers kissing to pictures of pink teddy bears, calling to mind the women and children affected by real world military conflict. Read Mariam Naziripour’s essay on the politics Velvet-Strike. 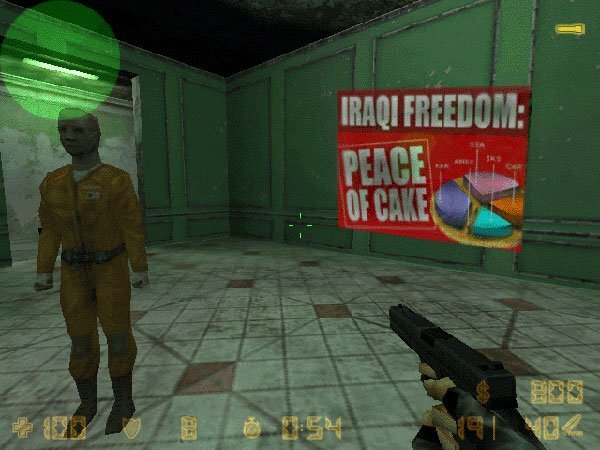 In actuality, Velvet-Strike consciously attempted to complicate “the real” and the suppositions of the gaming world as an unreal space, particularly when it came to war and terrorism. 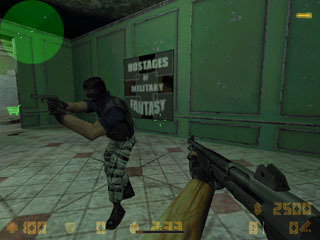 Counter-Strike presented a kill-the-bad-guys version of war, and Velvet-Strike reintroduced the complexity, horror, and human element of armed conflict into its narrative. In contrast to how Counter-Strike players took it, Velvet-Strike, was well-received in contemporary art contexts. 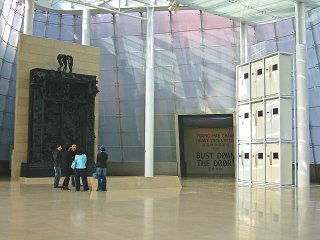 Documentation of the project was exhibited in the Whitney Biennial in 2004, and the project has toured exhibition spaces internationally. Anne-Marie Schleiner is engaged in gaming and net culture in a variety of roles as a writer, critic, curator, and gaming artist/designer. 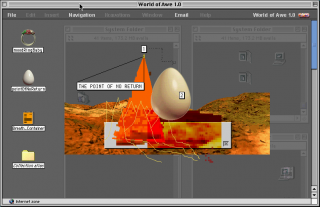 Her work investigates avatar gender construction, computer gaming culture, hacker art and experimental game design. 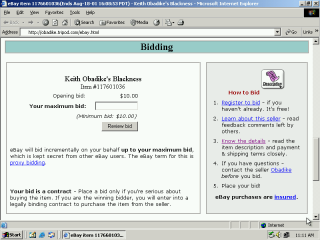 She has curated online exhibits of game mods and add-ons including the exhibits Cracking the Maze: Game Patches and Plug-ins as Hacker Art, Mutation.fem, and Snow Blossom House. She has designed the games Anime Noir and Heaven711. 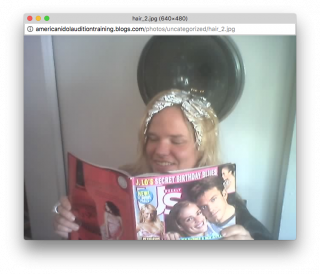 She runs a site focused on game hacks and open source digital art forms called opensorcery.net and has been actively involved in the anti-war game performance art initiatives Velvet-Strike and OUT. She has taught at universities and artist workshops and participated in art residencies in Germany, Belgium, Spain and Mexico. She has exhibited online and at the New Museum, NY, the Whitney, Centro de la Imagen Museum, Mexico City, and international galleries, museums and festivals. She is currently an Assistant Professor of Fine Art at the University of Colorado at Boulder and also lives in Mexico City. Brody Condon addresses the identity of fantasy in contemporary culture, poaching computer and live action role playing (LARP) games and using their principles to stage performative situations. 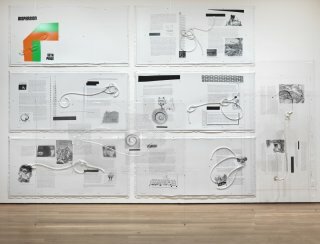 Condon has participated in the Rotterdam Film Festival, the 2004 Whitney Biennial, Performa 09, and Greater New York at MoMA PS 1 in 2010. 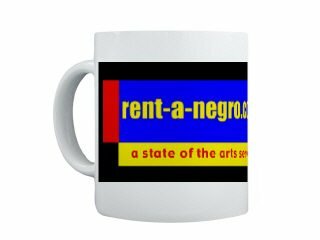 He has exhibited at the Yerba Buena Center for the Arts, San Francisco, The Kitchen, New York, Stedelijk Museum, Amsterdam, Kunstwerke, Berlin, LACMA, California, among others. Institutions including Museum of Modern Art, New York, New Museum, New York, the Hammer Museum, Los Angeles, and Santa Barbara Museum of Art, California, to name a few, have hosted his performances. 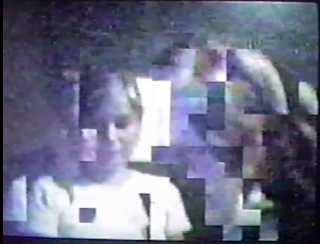 Joan Leandre is a media artist and a member of the Unknown Frame Observatory and the OVNI Archives. 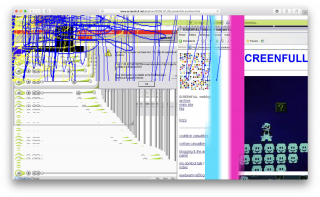 He has been involved in numerous projects such as the OVNI Scanner in Barcelona, the MAP Series Mega Assemble Project and the Oigo Rom Project at the Institut Universitari del Audiovisual, Barcelona. 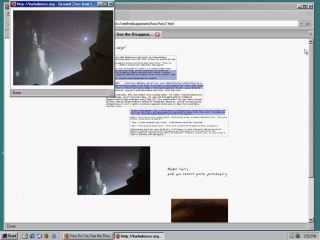 In 1999, he initiated retroyou.org, a project of manual web reading and soft digesting: retroYou r / c [radio / control series] started as a project of hard deconstruction of a racing game for PC, presented among other places in: OnedotZero, Barcelona; dina digital is not analog, Bologna; Arco 001, Madrid and Transmediale 02.media artist and activist. 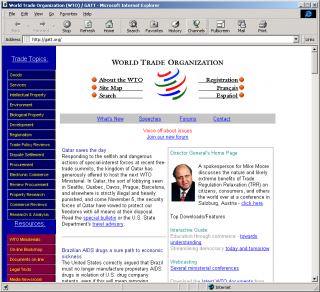 He has carried out such diverse actions as the manipulation of innocuous car race videogame computer code; compilations of documentation on technological euforia, both commercial and military; or the challenge to a powerful computer to create a model of the highest ever mountain. 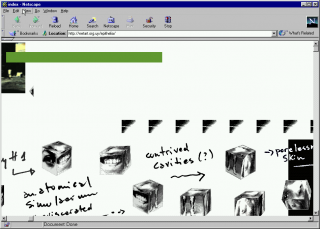 Leandre goes deep into the inviolable code of all types of image software, from simple videogames to flight simulators and even sofisticated military war games. 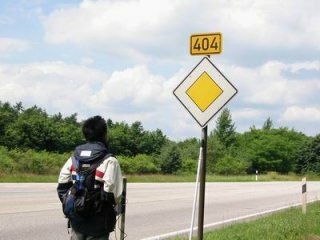 He transforms their functionalities and converts the most banal use of popular technology into a visionary experience, a mission into the unknown, or a fun-filled journey without gravity.